Are you a content creator, blogger, student or just someone that has good knowledge to share with our community? 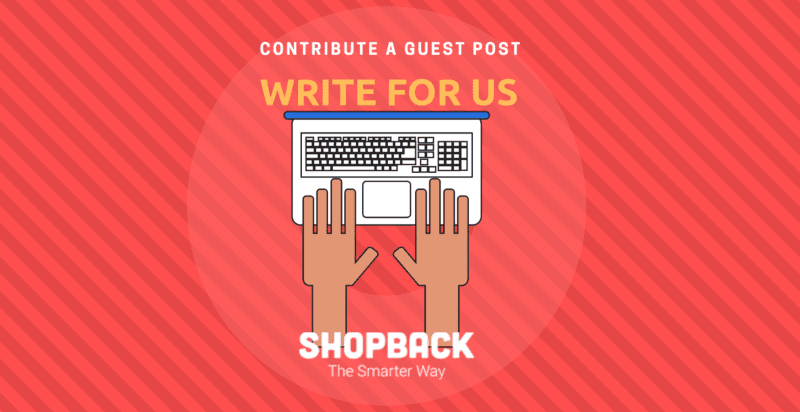 This is your chance to get your work published on the ShopBack blog, with a readership of over 100,000 per month. The mission of “The Smarter Way” is to help you the savvy shopper, navigate the big wide world of Shopping both Online and Offline to help you to make better choices. We want the reader to always be the smart one in the room, the one who knows where to go, what to do, and where to score the best deals and save money. What kind of content do our readers love? Practical guides and recommendations – Our readers love to read guides that help them make better choices when it comes to spending their money and time, especially about special deals that encourage them to save more while online shopping! Savings tips and hacks – Got a nifty little trick to save money on public transport? Or perhaps some budgeting tips? Our readers will love to know if you have any advice! Travel – We love travelling too, so share your travel itineraries, survival tips and hotel recommendations! Some of our favourite countries include Japan, Malaysia, Australia, Thailand and other Asian countries. Things to Do in Singapore – Living on our Little Red Dot can get boring at times, so our readers love when we have exciting activities and places to recommend in Singapore. Food & Places to Eat – If there’s anything that Singaporeans love more, it’s got to be food! Tell us where we can find the best hotpot, best steak, best coffee and more! Fashion & Beauty – What’s up with the latest Instagram beauty trends?! Let us know whether we should buy into the hype! Share your reviews, tips and other beauty hacks. Tech – With new smartphones and gadgets being released every other month, our readers want to know how they compare to other devices in the market. Should they invest in the new gadget? How to choose and buy tech items? Others – Do you have career advice or university survival tips to share? Or maybe even adulting, relationship and parenting tips. Share them with us because we want to know! Content Guidelines – What makes good content? Well-researched and informative articles. Nobody wants to read something that they’ve already read elsewhere! Give practical information and actionable steps. Include addresses, prices and other useful information. Either evergreen content (content that readers will find useful at any time of the year) or current viral news! A “smarter way“ angle on popular topics. Can you help the reader make a better decision? Do you have any tips to share on how to save money or time on anything? Well-structured, easy to read and visually attractive. An appropriate length. 600-1000 words work best! 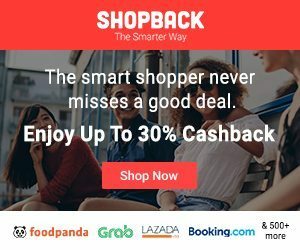 DO: Submit articles that are unique and exclusive to ShopBack’s blog. And no plagiarism! DO: Be objective. Readers want accurate advice so that they can come to their own decisions. DO: Do a quick search, so you do not write on topics that have been covered on our blog before. DO: Link and cite any references. DON’T: Submit promotional content plugging your brand and/or products. The article will be submitted under your name. 2. We will check submissions often and we appreciate your patience as we handle these requests as quickly as we can, in the order they were received. If you do not receive a reply, you can take it that your article has not been accepted. Please take note that this is not a paid engagement.